The Motor Cycle Road Racing Club of Ireland promote the IFS David Wood Trophy Races Round 8 of the Ulster Superbike Championship. 2018 is the fifth running of the now Prestigious IFS David Wood Trophy Races, with all our long-term sponsors retained which brings an attractive prize fund for the competitors. We MCRRCI endeavor to adopt to rider’s requests and this year all competitors received £30 reduced entry fee as part of the MCRRCI Clubs proportion of the prize fund. We have also changed from three sets of races on the Sunday to two longer feature type races. This is all part of finding the optimum program giving competitors maximum track time and Spectators an enhanced event experience. Total event prize fund again of £10,000 and Product supported prizes including sets of Pirelli Tyres, Arai Helmet Man of Meeting by MotoDirect, The IFS David Wood Endeavour Award - sponsored by Charles Hurst Hyundai Dundonald & Rea Timber Craft. We also have the Arai Helmet support team at the event for services and repairs. IFS Global Logistics continue as our Title Sponsor, a company with a long history involvement in motorcycle racing and Riders. The Supersport Pro class is again the Featured event with the most prize money and awards up for grabs, including the IFS David Wood Memorial Trophy, which is sponsored by Pirelli Tyres. Jason Lynn – USBK Supersport Championship leader and 2017 IFS David Wood Trophy winner will be returning hoping to win back to back Trophies. Jason has raised his race game somewhat this year on his Walter Bell R6 Yamaha and is 2018 Championship favourite. Mark Conlin (Yamaha) showed a mature side to his racing at Kirkistown, pushing Jason Lynn in both races to the line, it won’t be long before he gets a win! Christian Elkin (Yamaha) has been consistently filling the podium positions this year and will be in the mix. Emmet O'Grady, Dean Campbell, Darren Keys, Darryl Tweed, Derek Craig, Lee Clarke and Jaimie Rea will all be in close pursuit. One of the events exciting features is the ‘’Sail to Pole’’ with Nutttravel.com for the Supersport Qualifying, the fastest 9 from timed practice get a 6 minute session to put their fastest lap in hoping to secure Pole Position and £100 for the effort. Prize fund for the overall Supersport Pro is 1st place £1500, 2nd £700, 3rd £500 with awards paid down to 10th place. Wiz Knee Sliders Superbike Pro class has current USBK Championship leader Gerard Kinghan and his closest rival Ali Kirk heading the field. Gerard has a 138.5-point lead over Ali but there is still a possible 175 points up for the grabs. Ryan Gibson, Aaron Armstrong, Paul Potchy Williams (Wales), Donald MacFadden (Scotland) and David Haire who needs congratulated on breaking Kirkistowns long standing outright bike Lap Record will all be chasing Kinghan & Kirk. This year we cater for all the USBK Championship Classes and have Classic machines at the IFS David Wood event for the first time. We currently have 16 entries for the class and have various machines ranging from 200cc – 1000cc ridden by George Stinson, Barry Davidson, David Carleton, Alistair Henry, Linton Irwin and Mark Kirkpatrick. The MCRRCI sponsor this event. The Supertwins are Sponsored by Rea Timber Craft and the Production Twins by Robinsons Concrete, these classes run concurrently and produce some great close racing. Gary McCoy, Cahal Graham, Denver Robb, Mark Hanna, Johnny Hanna, Daniel Grove and Kevin Lavery will be mixing it up at the front in these classes. Pitlane Bike Services Moto 3 class is spearheaded by Paul Robinson and brothers Kevin & Paddy Lavery on Moto 3 machinery and Andrew & Nathan Cairns and Andrew Smyth on 125gp bikes. Pre Injection class has all Jonny’s entered - Johnny Irwin, Johnny Aiken and Jonathan Gregory and Andrew Brady, full grids in this class and very close racing as the bikes are evenly matched. Pre Injection class is sponsored by SignStik who looks after all our event signage. A favourite class of the spectators – The Sidecar Class, these three-wheel machines are amazing to watch around the fast flowing Bishopscourt circuit, Sponsored by Ophir Motors Dundrod, Motor Panel suppliers. Local rider Peter O’Neill leads the entry along with Dylan & Derek Lynch, Andy Kennedy and Fergus Woodlock. 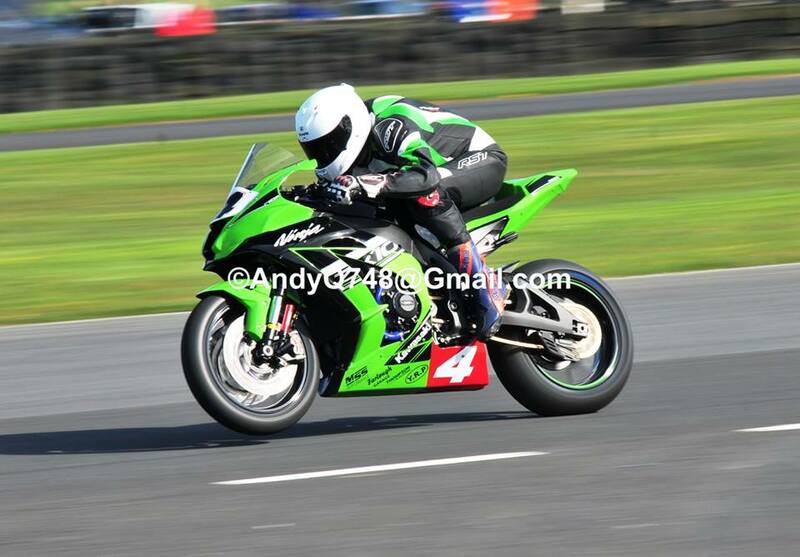 Kenny Duncan Plant (Donegal) sponsor for the Lightweight Supersport class. These 400cc machines now getting older but still produce great racing. Dean Campbell, Gary McCoy, Paul ‘’Potchy’’ Williams, Stephen McKeown and Darryl Tweed are amongst the entries. Nutttravel.com sponsor the class where the youngest competitors can learn the race craft - Junior Cup and Young Guns 125. In Junior Cup Cameron Dawson leads the Championship, Johnny Campbell, Jamie Lyons and Curtis Trimble can all be Winners in this class also. Young Guns has Joshua Rae, Alex Duncan, Karl Lynch and Liam Baird entered. Practice at Bishopscourt Racing Circuit commences @ 9am Saturday 15th followed by 9 races from 2.30pm. Sunday 16th @ 9am Warm up session followed by 18 Race program at 10am. MCRRCI have a great entry line up for round 8 of the Championship and IFS David Wood Trophy Races. This Event can be enjoyed for just £10 pp Event admission and under 12yrs go free. Bishopscourt Racing Circuit has all catering, rest room and Disabled viewing facilities. The circuit will be open from 4pm Friday 14th September for paddock set up and Scrutineering. Spectators Friday & Saturday night camping/campervans available no extra charge. Updates can be followed on our USBK facebook page, USBK Website http://ulstersbk.co.uk/ And www.mcrrci.co.uk or follow us on ifs David wood memorial trophy Facebook page.